Woodland Public Schools along with Kalama, Ridgefield, and La Center School Districts celebrated the dedicated school bus drivers and support staff of the KWRL Transportation Cooperative serving each of the four districts and recognized the team’s powerful contributions to public education during a special appreciation luncheon. Asha Riley, Assistant Superintendent for Woodland Public Schools, kicked off the celebration with an introductory speech highlighting the important contributions of the KWRL staff to the districts they serve. 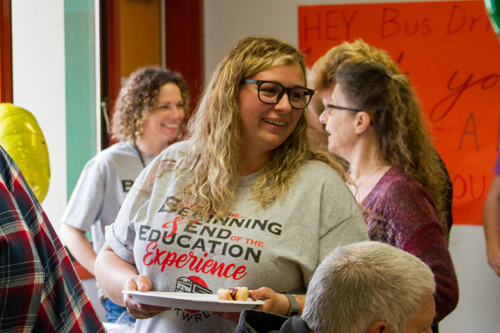 Woodland Public Schools’ food services team prepared a lunch of hot dogs, hamburgers and side dishes along with a selection of fruit and desserts. Students at Woodland’s schools made posters thanking KWRL’s bus drivers and support staff. The superintendents from each district along with Shannon Barnett, KWRL’s Transportation Director, donated personal funds to purchase door prizes and gifts for a raffle. All four districts celebrated the contributions of KWRL's drivers and support staff with a special BBQ luncheon. 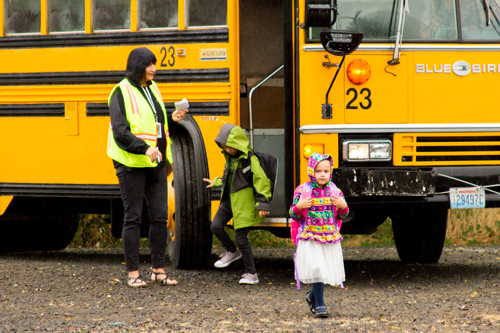 KWRL transports more than 9,000 students each day and has driven more than 16 million miles without an at-fault accident. 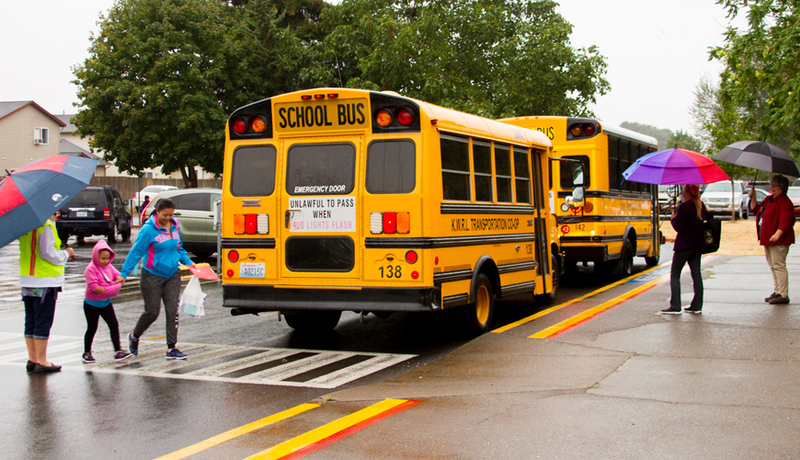 By working together, the four school districts receive better transportation options while saving taxpayer money for use in schools and classrooms when compared to running their own independent transportation programs. 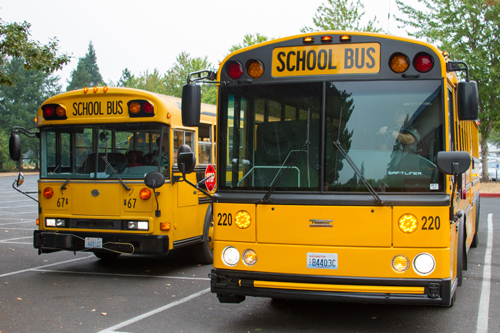 You can learn more about the KWRL cooperative including how you can receive your Commercial Driver’s License (CDL) free-of-charge to become a school bus driver by visiting the KWRL website at www.kwrl.org, calling (360) 841-2023 or by dropping by KWRL’s main offices located at 989 Frazier Lane, Woodland, WA 98674.